Internships help to enhance the study abroad program, deepening student understanding of the issues they study in the classroom and giving them personal and practical experience with people and cultures. CGE sites in Cuernavaca, Mexico and Namibia have offered internship programs for a number of years. This year, both sites will expand their offerings in response to growing interest from students and internship sites. Mexico will offer year-round internships and Namibia will begin a summer internship program. 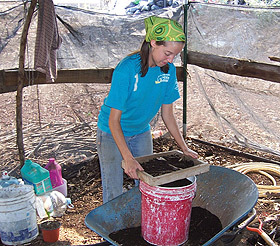 The Cuernavaca site offers several options for internships in diverse fields, and students can complete full-time internships during January-term, in a semester, over a full year, or in the summer. Part-time internships are available for students in the semester or summer programs. These placements can be combined with Spanish language study, including courses to complement the intern experiences for students in healthcare, ministry, or business. In Namibia, a new summer program titled “Social Change and Development in Southern Africa” will provide students with an opportunity to learn about contemporary and historical issues impacting development and social change in Southern Africa. In addition to their coursework, students will be paired with a local organization dealing with education, community development, health, or social change. Participants are also engaged in experiential learning and community engagement through home stays with local families and travel seminars that take place during the program. For more information on the Center for Global Education at Augsburg, go to www.augsburg.edu/global/.